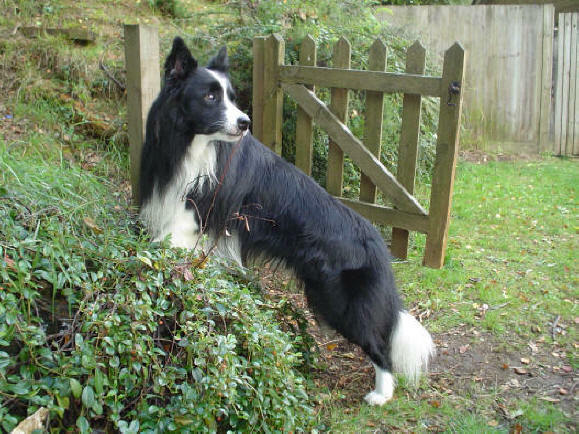 Border Collies are, in our opinion, the most intelligent of all breeds. They are inquisitive, they love to learn new things, and, above all, they desperately want to please you. They are loving and playful, and very loyal, and, in our experience, make wonderful family pets. Vimick Final Addition ('Harry') ready and waiting for the off. Although some people may have you believe that a Border Collie needs to run miles every day, this is in fact a complete fallacy (although they will do it if you want them to). Walks, yes, and a garden is a must, but above all, just to be with you whether you are gardening, hanging out the washing, or taking the kids to school - being part of the family is most important to them. Vimick Oxo ('Daffyd') longing to do what comes naturally. 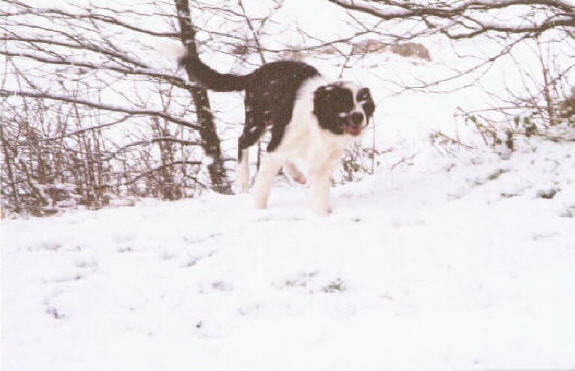 The Border Collie needs mental stimulation above physical stimulation. They think for themselves. If they do happen to get a bit bored they will create games for themselves. 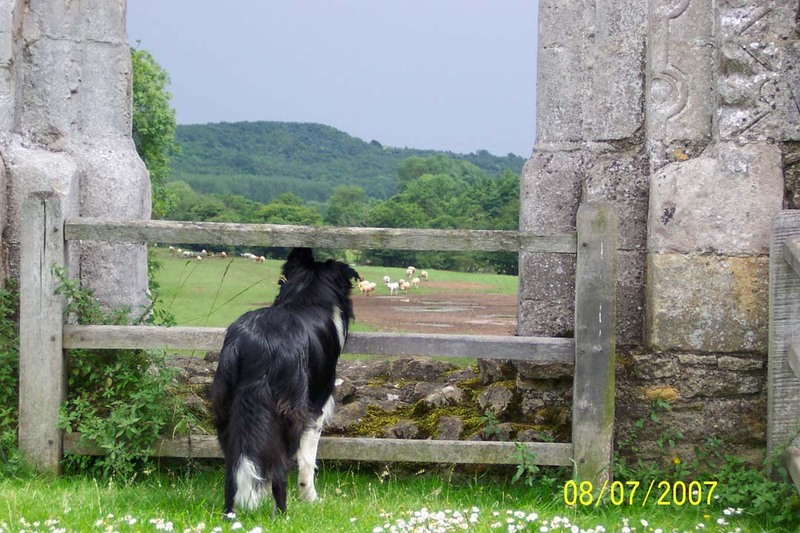 The Border Collie is eager to learn, and for you to teach them something new. Vimick Mach Two ('Fletcher') catching snowflakes. The Border Collie is a dog for all weathers too; they love playing in the snow or rolling on a frosty lawn, they love water and sunshine, and the greatest delight is getting covered in mud. They love life. They just love. All they want is to be loved in return. That's a Border Collie. The perfect companion.